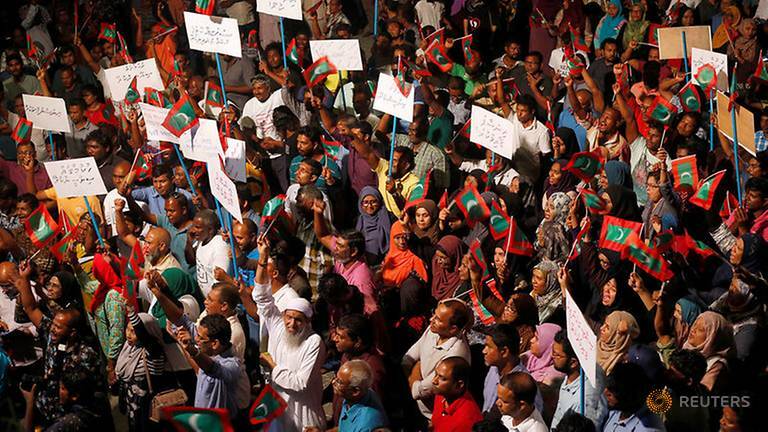 China’s foreign ministry on Monday advised Chinese citizens to avoid visiting the Maldives until political tensions subside on the Indian Ocean archipelago. “China suggests that Chinese citizens who are preparing to go to the Maldives in the near term to postpone going until the situation on the ground stabilises,” Geng Shuang, a spokesman for the Ministry of Foreign Affairs, told a regular briefing, noting that the upcoming Chinese New Year was a peak period for Chinese tourists to visit the Maldives. between all relevant sides in the Maldives through dialogue and consultation to protect its national and social stability.